FULTON, NY – The gavel is passed. 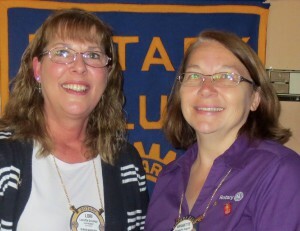 Lori Greeney, left, recently completed her 2014-2015 year as president of the Fulton Noon Rotary Club. 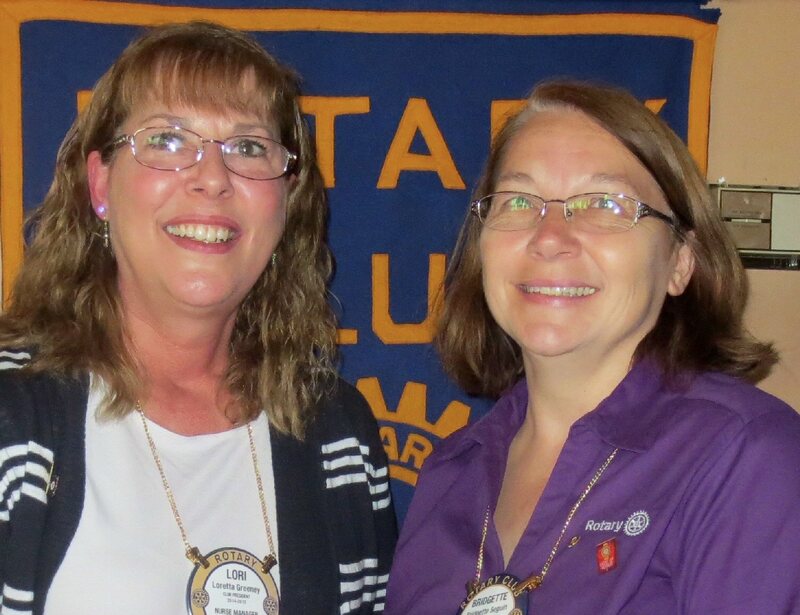 She passed the gavel to Bridgette Seguin who will be the 2015-2016 Rotary year president. The Fulton Noon Rotary Club meets each Thursday at noon at the Tavern On The Lock Restaurant. Each year, all of the club officers in Rotary International, with more than 34,000 clubs, will change. This plan has been successful for more than 105 years. New ideas and new plans are instituted by each new president making Rotary International a vibrant organization.